After all the hard work of planning your wedding you'll want to relax and enjoy your honeymoon as newlyweds. If you need some ideas then here's a list that we've compiled of the top 10 honeymoon destinations. With a superb choice of white-sand beaches and luxury accommodation, the island of Mauritius is a very popular honeymoon destination. It's stunning scenery and tranquil atmosphere provide the ideal location for a relaxing honeymoon. If you want more than a relaxing holiday, then Mauritius also provides a variety of activities including diving, snorkelling and golf. The Maldives consists of just under 1200 islands and is located just off Sri Lanka. With some of the resorts providing accommodation in shallow water upon stilts this really does offer a unique experience, perfect for a honeymoon. 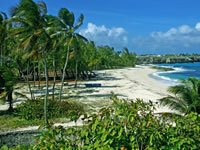 With a wealth of white beaches and lagoons, Visitors to the islands rarely leave disappointed. The fastest growing city in the world promises a unique honeymoon experience, and with as little as five days rainfall a year you're sure to expect good weather. 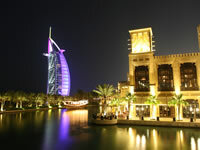 Dubai is the ultimate shopping destination with reasonably-priced, luxury products on offer from all over the world. As well as the shopping and beaches it also offers a huge variety of activities from water-sports to desert safaris. Located in the warmer seas just off Africa the Seychelles is made up of over 100 islands. This stunning honeymoon destination is a tropical paradise with perfect blue waters and fantastic beaches - an ideal setting for a relaxing and romantic honeymoon. As one of Thailand's most popular destinations, Koh Samui is a tropical paradise with crystal-clear waters and white-sand beaches. There is plenty of luxury accommodation with a variety of restaurants catering for all tastes, and a excellent nightlife for the partygoers! 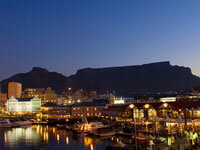 This city has a lot to offer, with fantastic food and wine, beautiful surroundings and a charming atmosphere. 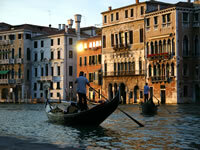 Enjoy a romantic candlelit meal whilst the musicians serenade you or relax in a gondola ride along the canal. Famous for the stunning scenery and relaxed atmosphere, the Caribbean island of Barbados offers an idyllic setting for a honeymoon. 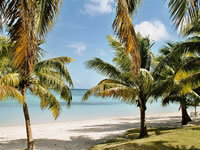 Activities on offer include snorkelling and watersports, or soak up some of the culture by visiting the rum distilleries. Visitors to Kenya are pleasantly greeted with a unique choice of shops and local markets, excellent cuisine and a captivating music scene. 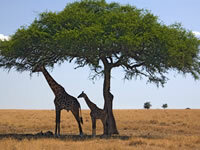 For a truly unique honeymoon experience you could choose to soak up the wildlife and go on safari or simply relax in one of the many stunning beach resorts that Kenya has to offer. 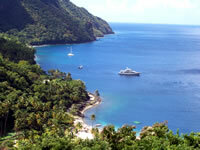 This unspoilt Caribbean island provides the perfect romantic setting for a honeymoon. 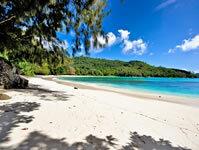 With beautiful sandy beaches and predictably warm and dry weather you are guaranteed to have a relaxing break. 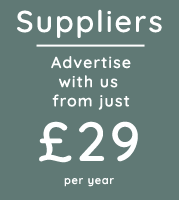 There's plenty to do on the island with activities ranging from boat trips to horse riding. The luxury accommodation that Cape Town provides is perfectly suited to newlyweds looking for a romantic holiday. Its renowned for its hospitality and has superb beaches, an array of fine vineyards, and stunning scenery that cannot be missed.